On this Lenten season, my childhood memory brings me back to Vigan City, Ilocos Sur. Semana Santa or Holy week on this historic city is unique and fiesta-like atmosphere. There are processions of colorful life-size statues of Jesus Christ and other Saints in the evenings. On Holy Friday the Pabasa, or public chanting of the Pasyon are held in homes of devotees. St. Paul Cathedral is crowded, particularly on Easter Sunday people thronged in from different barangays and adjacent municipalities, the Salubong is held early in the morning at the plaza before dawn. Plaza Jose Burgos is now an open flea market where you could buy everything, house wares, farm tools, Ilocos woven blankets (abel), native foods such as empanada, okoy, bagnet, longanisa, dried seafood and dried fish. Christians observed the abstinence on meat on Holy Friday. Dried fish dish dominate the kitchen of most Ilocano household, at least on my home province. 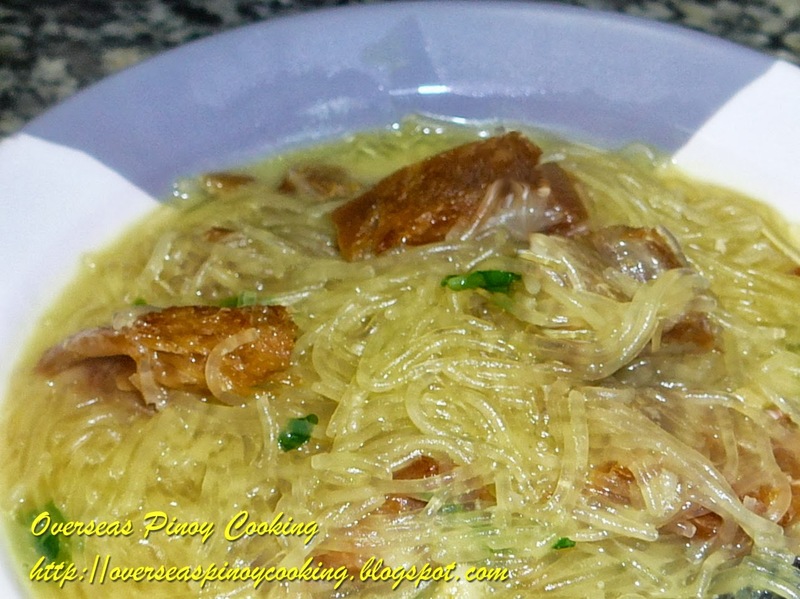 The most popular is the dried fish with sotanghon in coconut milk or ginataang daing na isda. This dish is associated to Lenten on my childhood place in Vigan. In a sauce pan, sauté onion, garlic and ginger. 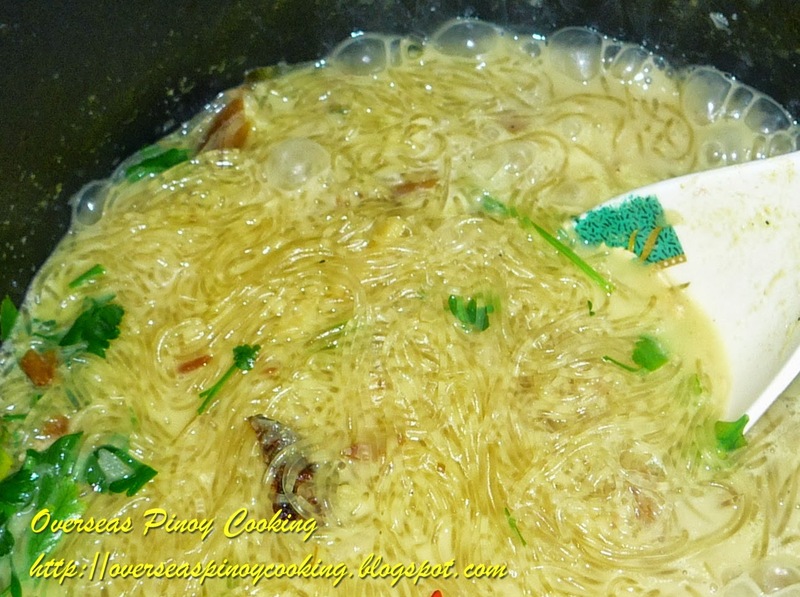 Add dried fish and stir cook for 2 to 3 minutes. Add 8 to 12 cup of stock or water, let boil and simmer for 15 to 20 minutes or until dried fish become soft, add more stock if necessary. Add 1 cup of coconut milk and simmer for another 3 to 5 minutes. Add turmeric powder, and season with salt and pepper to taste. Add in sotanghon and the remaining 1 cup of coconut milk, cook for 5 to 10 minutes or until sotanghon is cook. Add kinchay and cook for another minute. Vigan sounds like a very nice city to visit.Thanks for the greetings and this recipe...Mmm yummy.My grandma also makes this during Lenten season.We also used to host the Pabasa in our home when I was young.I love your blog and recipes. I will definitely be a regular visitor. Hope to see u too in mine again.